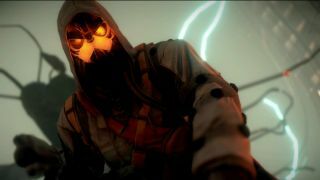 PS4 launch title Killzone: Shadow Fall will be one of the first PS4 game to let gamers play while they're still downloading, and while Sony hasn't given too many details on how this feature will work, Guerilla Games has spilled some of the beans. Speaking to Official PlayStation Magazine, Technical Director Michiel van der Leeuw explained that you'll first download "a chunk of the game" which will then be playable. "You the menu and the first level and while you're playing the first level it downloads the second level in the background [...] then the third and so on," he said. There's no information on how big these "chunks" will be, but quick-fingered gamers with slow broadband connections may find themselves waiting for the game to catch up. Naturally, this will only work for linear games that progress level by level. But for open-world games, like GTA, it may not be a viable option as entire map needs to be available from the outset. Of course, players who opt for a digital-download instead of a hard copy won't be faced with download times at all, but the new feature is even more of an incentive for gamers to get hands-on with new titles from the moment they launch.